Posted on Декабрь 31, 2016 by Татьяна Н. Why is it necessary to learn a foreign language? What are the most useful learning strategies? Однако попробуйте сначала ответить на эти вопросы самостоятельно. 1. Why is it necessary to learn a foreign language? Task 1. Watch the video «English Mania» and answer the question «Why learning English is so important nowadays?» (TED, video) Task 2. 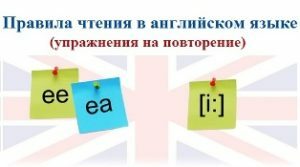 Read the opinion about «Learning English». Tim says: I studied English at school and I can say that it is a difficult language to learn. Sometimes it was hard for me to understand some grammar points, sometimes I was bad at pronouncing English words as you know the English sounds are different from the Russian ones. But the knowledge of English is a must for any man who thinks he is well-educated. English is necessary if you want to use the Internet because 90 % materials are in English. It is the international language of science, business and tourism. If you know English, you can communicate with millions of people who speak different languages That’s why I think that studying a foreign language is very important. And some activities — singing, taiking, reading — are fun! Why is it necessary to know English according to Tim? Is it easy to learn English at school? What do you enjoy doing in English most of all? Which things do you find most difficult or dislike doing? Have you ever been to an English-speaking country? Is your English good enough to travel as a tourist?